As seen on ERE Media (June 19, 2017). Technology has grown in importance to the point where every firm has no choice but to become a technology-driven firm. Yes, technology hardware and software are now integral to the operational success of firms in every industry, including healthcare, retail, real estate, manufacturing, and finance. For example, look no further than cyber security breaches (like those that occurred at Target) in order to understand how critical just one aspect of technology (data security) is to a firm’s success. The need to make this transition is so powerful that the CEO at Ford was recently replaced simply to speed up their firm’s transition to a technology-driven firm. So it shouldn’t be a surprise to anyone that as firms become dominated by technology, recruiting a large number of technologists becomes in many cases the No. 1 critical business success factor. Unfortunately, technologists in every business function have a decided preference for working at firms that are known as technology leaders that encourage innovation, creativity, and freedom. And that means that if your firm has a staid image, you will continually struggle to recruit top talent that is on the leading edge in their field. And you might be surprised to learn that the employer branding solution that many top firms including GE, Walmart, Northrop Grumman, Coors, Koch, and Boeing have used to change their non-technology image is employer branding TV ads! 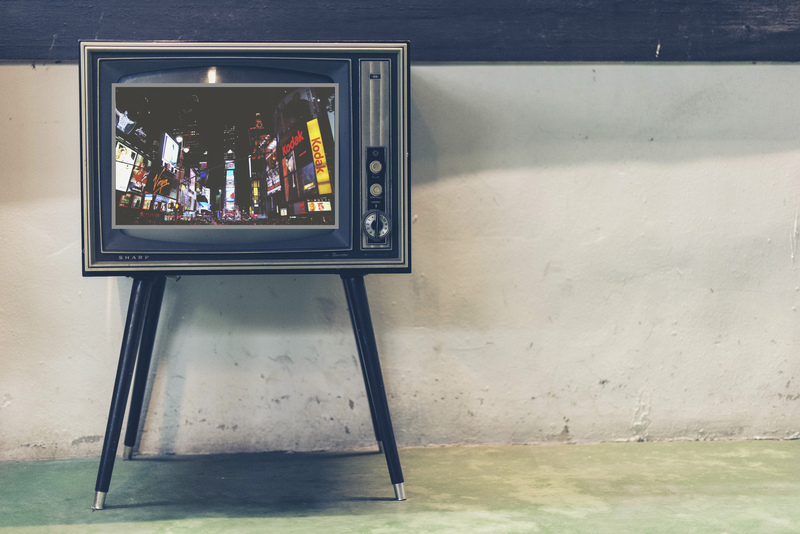 TV ads have been a staple for building a firm’s product brand for decades. However, you corporate TV ads that have a dual employer-brand image building and recruiting purpose are becoming a bit of a corporate trend. The foundation principle of this trend is that top technologists and innovators won’t even consider working at a staid firm where technology is only an afterthought. Techies fear the bureaucracy, the budget battles, and the slow-moving pace at large conservative firms. For example, GE has long been known as an industrial firm. However, it realized that even though it has a strong employer brand that has successfully attracted manufacturing and operations talent, it didn’t have an employer brand image that could successfully attract the large number of the now-essential technologists and innovators. So GE developed a series of “Owen TV ads” that delivered a message that suggested that rather than being an industrial company, GE was now a firm dominated by technology and innovation. And rather than being too expensive, GE found that the ROI of its “Owen TV campaign” was extremely high (“The Owen ads have increased the number of résumés we get by eight times,” Source: William Ruh). This need to change their images and to attract a high volume of quality technologists is another reason why so many well-known firms are now opening major R&D offices in the Silicon Valley. So if your firm (as most do) needs to shift its image so that it is now viewed by your targeted techies as a technology- and innovation-dominated firm, you can’t ignore this TV-advertising approach. Your initial reaction might be that this approach is too expensive, but a better answer may be that you simply can’t afford not to change your firm’s image so that it attracts the best technologists. In addition to GE, the U.S. Army is another benchmark firm that for years have been running TV ads in order to change the image of the role of the soldier, from someone that crawls in the dirt to a warrior that wins because they get to use the latest exciting technology. The Army’s approach as an added benefit of letting enlistees know that their technology skills will be of great value in the private job market when they leave the military. Northrop Grumman is the latest entrant with its series of brand shifting “anyone can dream” TV ads which focus on the company’s expertise in the exciting technology areas of invisibility and stealth. TV ads reach a large but targeted audience — your recruiting audience can be micro-targeted. In addition to the major networks, your ads can also be focused on the cable stations that your target audience watches. Videos are compelling — video ads have a compelling impact because they allow the viewer to “see and feel the excitement” and the diversity within the firm. They also allow the viewer to see employees, the technologies, and products at work. TV ads tell a story — stories are the best way to convey a message. And these TV ads can be long enough to tell a complete and compelling story that viewers remember. They reach non-actives — unlike standard recruitment ads, the majority of TV ad viewers will not be active jobseekers. Most of your recruiting targets who already have a job wouldn’t normally ever see standard recruiting ads. By design, these TV ads don’t even appear on the surface to be recruiting ads (most never mention the word recruiting). Instead, they focus on thought-provoking topics like the value of innovation, dreaming, having fun at work, and diversity. They appear alone — unlike traditional recruitment advertising, employer branding TV ads only appear alongside product ads. As a result, there is no competitive recruiting advertising to dilute or counter your message. The videos can be used in multiple places — in addition to being run on TV, these short videos can also be run on social media, in movie theaters, and on your own website. Effectiveness can be measured — both the TV and the advertising industry are data driven. So it is relatively easy to learn if your ads are viewed and if they increase the number and the quality of your job applications. As a result of these seven advantages, TV ads can do what no traditional recruiting ad can do. They can dramatically change the viewer’s image of the firm, its work, and what it’s like to be an employee there. With so many advantages, you may be wondering why most major corporations have not run TV branding/recruiting ads. My conclusion is that most corporate recruiting leaders are so weak at building the business case that they simply can’t successfully justify the high immediate expense and a longer-term payoff. Our firm is the ideal place for dreamers and innovators — these types of ads try to convey the message that a firm is an ideal place for passionate dreamers and innovators. For example, the Northrop Grumman ads focus on children who dream about invisibility and how Northrop Grumman is an ideal place where they can develop their dreams. Boeing also ran a series of ads including “have a dream” and “build something better,” which focused on having a passion for innovation. Employees enjoy their work and are proud of their product — these ads are a mix of employer and product branding. This iconic Samuel Adams TV ad showed an employee bursting out of a beer brewing cask in the “for the love of beer” commercial that also has accompanying pop music. Coors took a similar approach in its “when beer is your calling you never clock out” ad. Both of these ads send a clear message to potential recruits that their work is both meaningful and a lot of fun. We are a company that you can grow with — Walmart’s series of TV ads showed how entry-level employees can grow and build a career within the company. Our products make lives better — this Koch Industries TV ad focused on innovation and how its products make lives better. Another one of its TV ads highlights that employees are free to make decisions and to challenge results. We prepare you for the future — this U.S. Army’s ad “prepare for everything” focuses less on the job and more on the fact that the Army prepares you for everything. It is a firm’s CEO, rather than its HR leaders, that is the first to realize that every firm will have to become dominated by technology if it expects to be an industry leader. However, once that realization is reached, it is HR’s role to determine the best way to shift the firm’s employer brand image to one that is more attractive to technologists and innovators. The first step should be assessing your current image by surveying a sample of your recruiting targets to identify their image of your firm. HR should also collaborate with your firm’s product branding team to identify any synergies. You should also benchmark GE and the U.S. Army because they have led the way in demonstrating that the best way to communicate this shift is through TV advertising. Other firms might of course choose other ways to communicate their changing image, but one thing is clear: If your firm is viewed as a slow-moving bureaucracy where technology is only an afterthought you will have zero chance of attracting a high-quality technical talent that are necessary for a firm to become a technology- and innovation-driven firm.